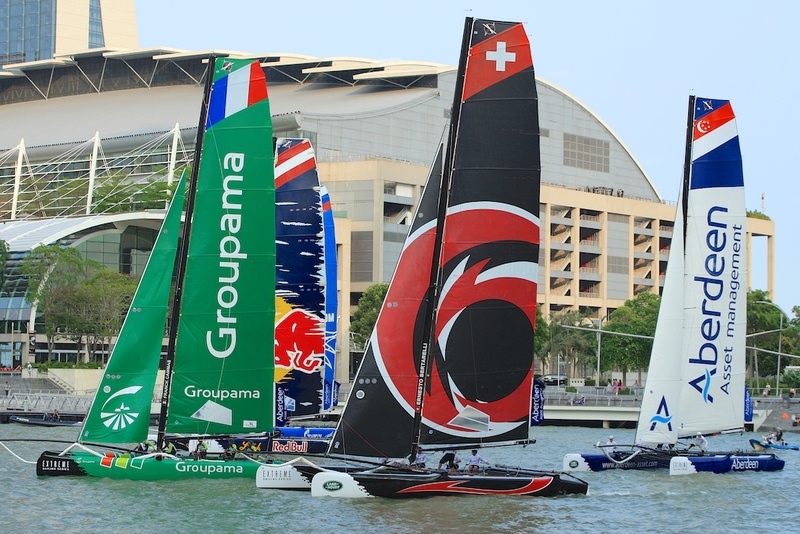 The Extreme Sailing Series 2014 is back in Singapore with a big bang in the heart of Marina Bay Singapore! 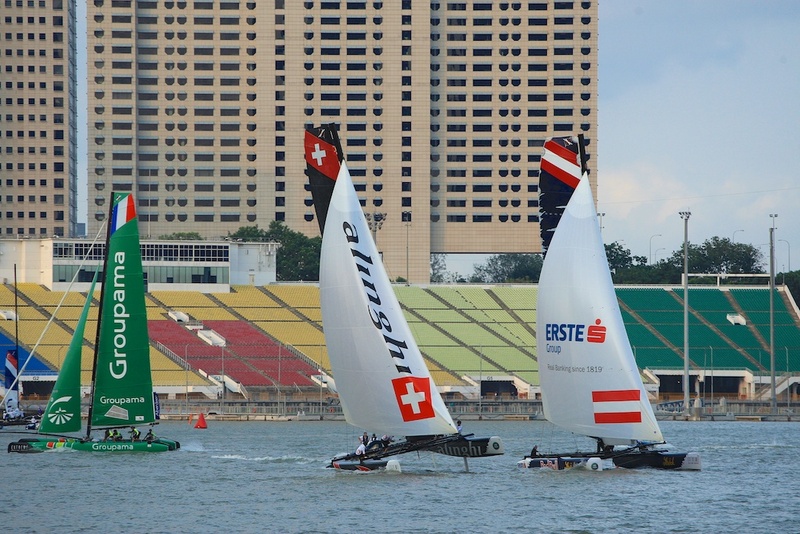 With strong winds blowing in the Marina Bay area and under the intense hot tropical sunshine, the Extreme 40 sailing boats are providing great excitement and sports action to the spectators around the Marina Bay Stadium! 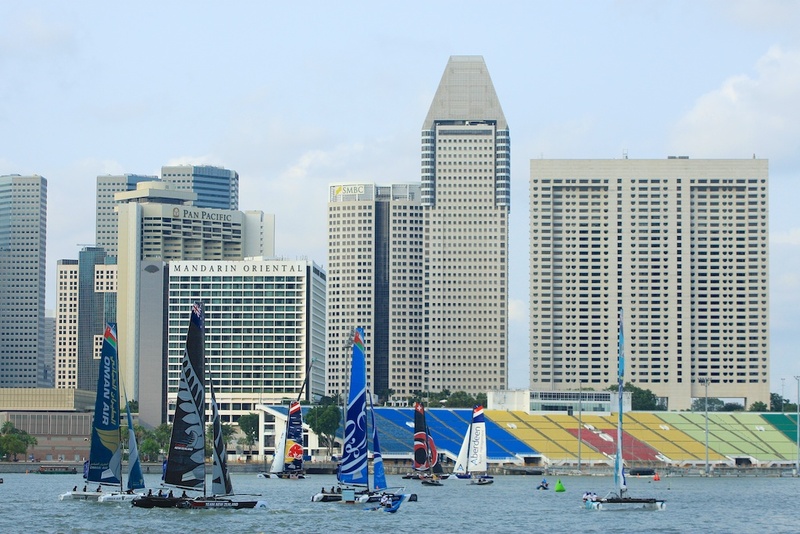 The Extreme Sailing Series is an international sailing event since 2007, visiting different countries around the world and Singapore is Act 1 for Extreme Sailing Series 2014! 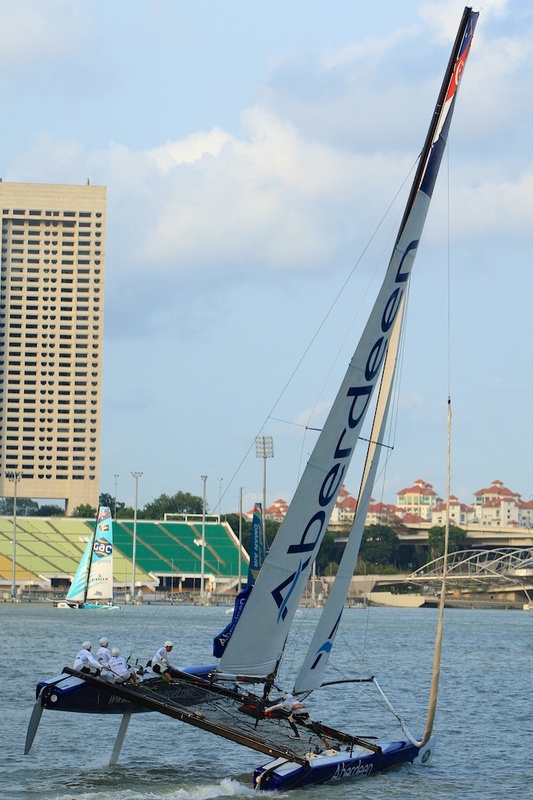 High speed and adrenaline sporting action on the water by the Extreme 40 sailing boats whereby the action is close to the public in a Stadium Sailing, Marina Bay Singapore fits the bill perfectly! This is my 2nd year covering and photographing Extreme Sailing Series, here’s a recap of the Extreme Sailing Series that I went in 2013! If you like to know about the Extreme Racing, the starting procedure, the course, what happens during the race and the finishing, do check out their link here on Extreme Sailing Series website for more details! Here’s a photograph that I took at the Race Village that shows the Extreme Sailing Series course route! There were 6 races on 21st February and the Extreme 40 sailing teams had to handle winds ranging form three knots to gusty winds peaking at twenty-four knots! Watching the races from the Marina Bay area, it’s an ideal Stadium arena setting to watch the Extreme 40 sailing boats in close action, you can see them “flying” across the water! Our Marina Bay is not only a beautiful bay area with many different buildings surrounding it, they provide interesting challenges with the unpredictable winds and breezes in the Marina Bay area, giving the 12 Elite Extreme Sailing Teams a handful to handle during the racing competition! 5th Realstone (SUI) Jérôme Clerc, Arnaud Psarofaghis, Bruno Barbarin, Thierry Wassem, Sebastien Stephant 81 points. 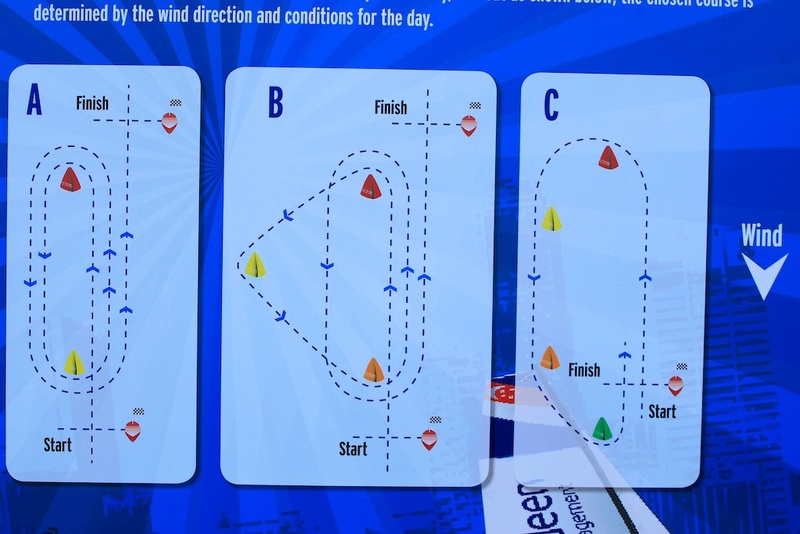 Do come down and support this special race at the Marina Bay at 2pm! Share it with your friends about Extreme Sailing Series happening right here in the heart of Marina Bay Singapore for the next two days, Saturday 22nd February and Sunday 23rd February!